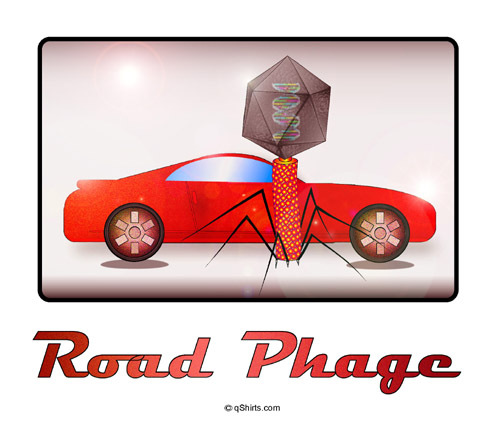 Welcome to our collection of original, humorous T-shirts and sweatshirts on various biotechnology and neurotechnology (organic and computer science) topics -- including genetic engineering and neural networks. The images are all original and, to the best of our knowledge, so are the sayings. Great gifts for the biotech or neurotech scientist on your list who has a sense of humor (for whom splicing in some humor would be an adaptational advance!). Some designs available in two design styles -- (1) dark image on white shirt; or (2) light image on a black square on white shirt. I think that the light images on dark generally look cooler -- but different folks have different tastes. Please click on the image to see a larger picture and get more info. If you would like multiple copies of some custom combination of wording and one of the images, then please drop us a line at the address below and we will do our best to recombine a transgenic shirt for you. 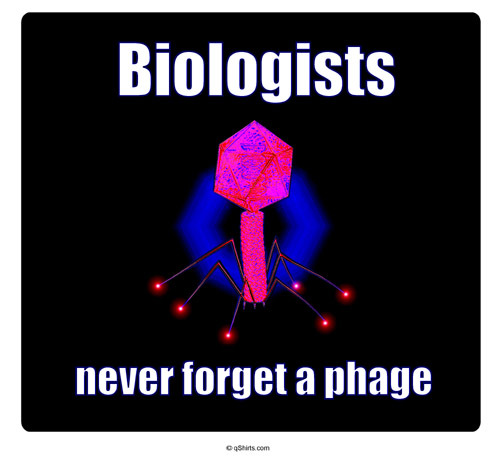 Biologists never forget a phage. Don't Worry. 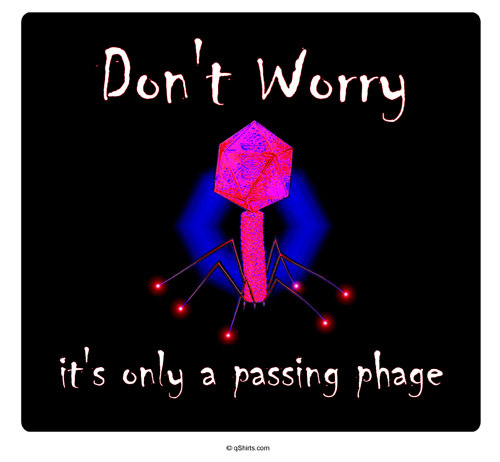 It's only a passing phage. Susan makes a fortune by creating loose-fitting genes." John makes a fortune by creating loose-fitting genes." Biotech's contribution to lawn ornaments -- the garden genome. 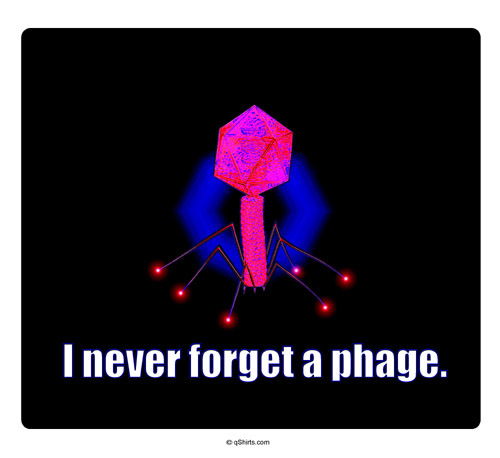 I never forget a phage.